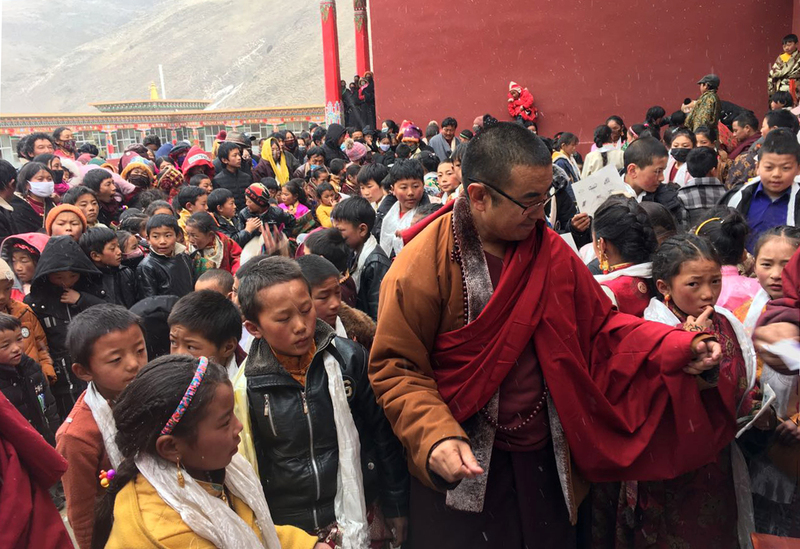 The largest program yet for children at Surmang in Tibet, with 250 participants, culminated in a celebration just before Losar (Tibetan New Year) in February. 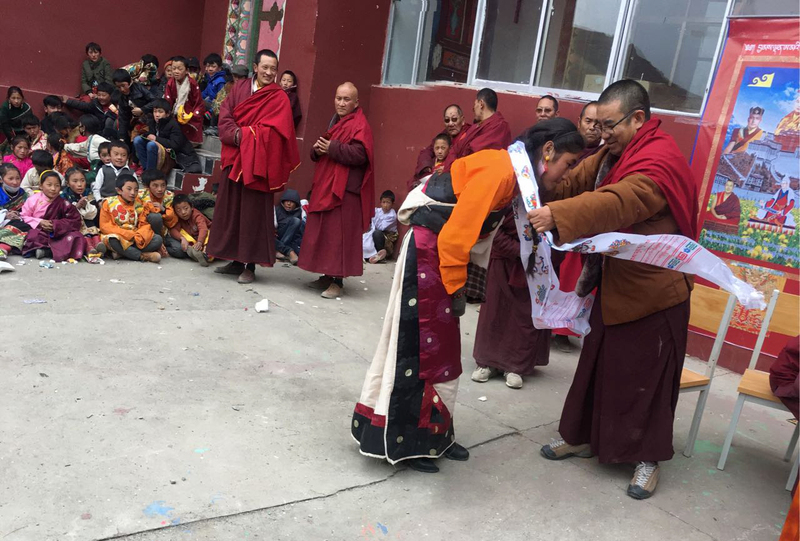 Family members joined the children in the shedra courtyard to witness singing, dancing, presentation of gifts (school backpacks and books), and celebratory khatas for the best students. An event was also held for a smaller program, with fifty children, in a different village nearby. The annual winter children’s program focuses on basic literacy and arithmetic, and provides daily lunches for the students. 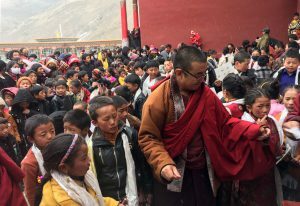 The children’s event has become the starting point for what is ordinarily the busiest season of the year at Surmang, with the Losar festivities followed by the Chakrasamvara dances, the Kagyu Gurtso (Rain of Wisdom) recitals, and the drupchen retreat. 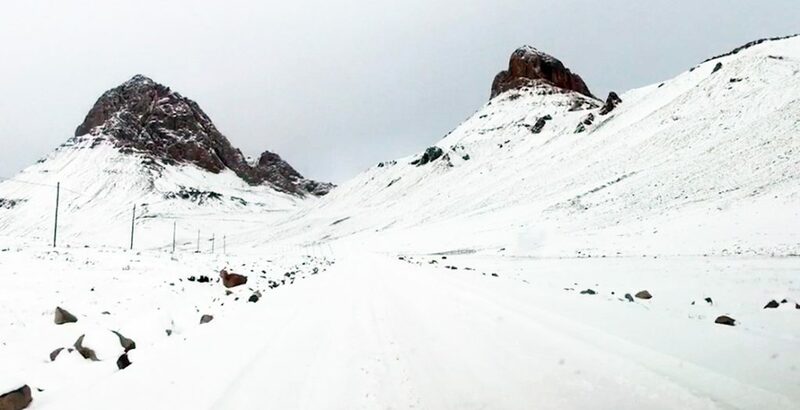 This year, summer at Surmang will take precedence, with the largest event since the rebuilding of the monastery began in the 1980s. The new shedra (school) complex, the rebuilt kargenma (residence of the Trungpas), and the rebuilt monastery lhakang (shrine hall) will be consecrated in early August. Chöseng Trungpa XII Rinpoche has invited the Western sangha to attend the consecration. It’s not too late to sign up if you wish to go. Travel is being arranged by Tamdin Wangdu at Conscious Journeys ([email protected]). Konchok Foundation has supported the shedra project, the children’s program, and other activities at Surmang. For more information about the consecration, including a short video with Trungpa XII Rinpoche, or to support Surmang, please visit https://konchok.org/announcing-the-surmang-shedra-consecration/ .